H. Rick Bamman - hbamman@shawmedia.com A snow drift forms along side Ackman Road. in Lakewood on Tuesday, Jan. 21, 2014. 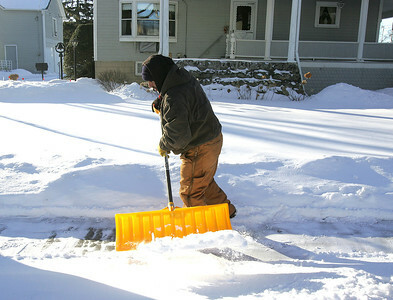 H. Rick Bamman - hbamman@shawmedia.com Elias Andrade shovels a sidewalk in single digit temperatures Tuesday, Jan. 21, 2014. Andrade was working at the corner of Church St. and Second Street in Huntley. Low wind chill values are expected to persist through the rest of the week. 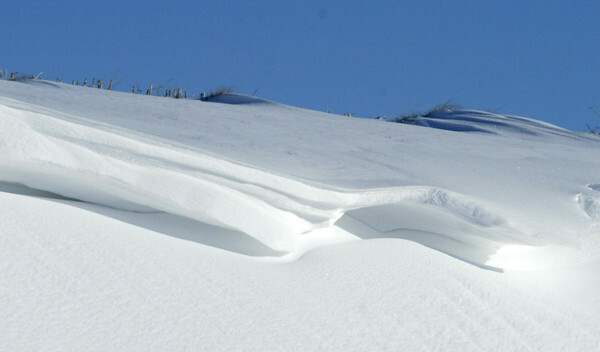 A snow drift forms along side Ackman Road. in Lakewood on Tuesday, Jan. 21, 2014.